In a grand mansion dating back to 1619 sits the majestic Hotel Bristol. Family-run for three generations, this five-star hotel is located right next to the Mirabell Gardens and the National Theatre. Welcoming you with its extravagance, you’ll be surrounded by art, antiques, and crystal chandeliers throughout the hotel. With traditional charm and modern luxury comfort, each room is uniquely and lovingly decorated with themes from various historical eras. If you’d like to enjoy breakfast in bed, room service is there for you. If not, you can take advantage of the complimentary breakfast buffet in the stunning Crystal Room. For lunch and dinner, indulge in Austrian delicacies and international cuisine in the Polo Lounge. Head to happy hour at Sketch Bar & Lounge for small dishes and delicious drinks. For the music fans, Sketch also has live music Fridays and Saturdays between 6:00pm – 10:00pm. In addition to on-site dining, there are many other conveniences Hotel Bristol provides so you don’t have to leave the hotel if you don’t want to. Within the hotel complex, you’ll have access to shopping, a hairdresser, a jeweler, an optician, and more! In a perfect location with great charm, it’s easy to see why Hotel Bristol is one of the best luxury hotels in Salzburg. A peaceful hideaway in the middle of the city, Hotel & Villa Auersperg is a family-run boutique hotel designed with your relaxation in mind. Timeless and stylish, this hotel has something for everyone. You can take some “me time” in the rooftop spa, rent a bicycle to explore Salzburg, or stay in and rent a DVD from the front desk. 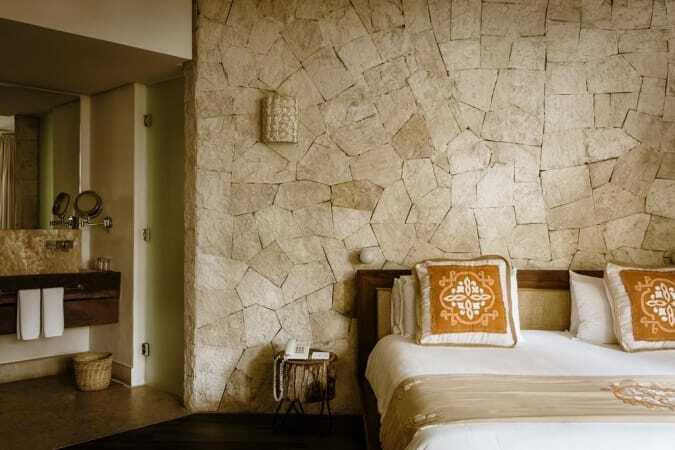 With a villa annex, take your pick from an individually decorated room, suite, or villa. If you need to be gluten-free in Salzburg, this is one of the best hotels in Salzburg for you. Hotel & Villa Auersperg has a traditional breakfast buffet with mostly organic and local food, but you also have the option of a vegan, gluten-free, or lactose-free breakfast. If you are looking for some tasty homemade cuisine and a great selection of drinks and cocktails, A*Bar is the place to be. After you grab your drink, make your way to the garden. Its lush plants, water features, and hundred-year-old trees make it a great place to go to relax and sip your cocktail or read a book while being shielded from the hustle and bustle of the city. With a staff who cares about every detail of your stay in Salzburg, you’re sure to feel like a member of the family at Hotel & Villa Auersperg. 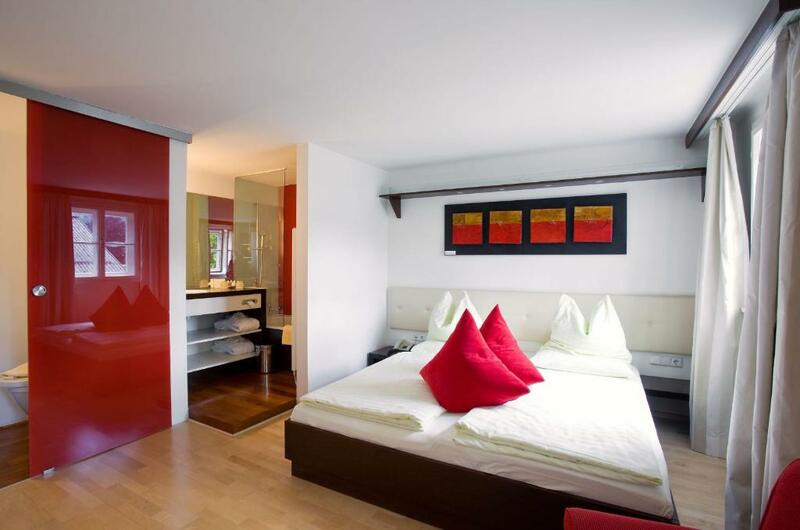 Set in the heart of Salzburg’s Old Town, this building dates back to the 14th century. 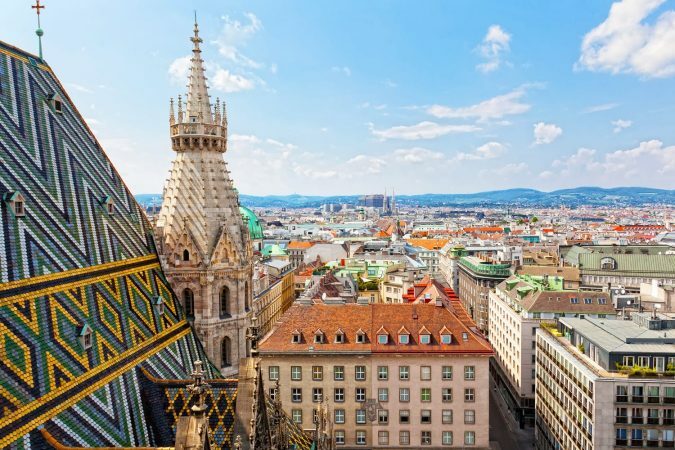 Just a few minutes walk from Residenzgalerie, Mozartplatz, the 17th century Salzburg Cathedral, and many more attractions, this boutique hotel is an ideal starting point for sightseeing. The history of the city will be felt as soon as you walk in the door. Decorated with elegant Italian-style furniture, the medieval wood ceilings, stone floors, marble, and stucco work will have you falling in love with the character and personal touch of your room. This charming design hotel puts you in the perfect place to get immersed in the excitement of the Old Town streets. A tastefully contemporary hotel on a nice medieval street, a stay at Hotel am Dom is sure to keep a smile on your face during your time in Salzburg. Located in Leopoldskron, this bed & breakfast is surrounded by picturesque, lush greenery. Just a 15-minute walk from Old Town, you’ll also be a short walk from Schloss Leopoldskron, aka The Sound of Music palace. The owners, Alex and Iris, and staff not only welcome you with open arms, but they also cater to your personal needs and interests. 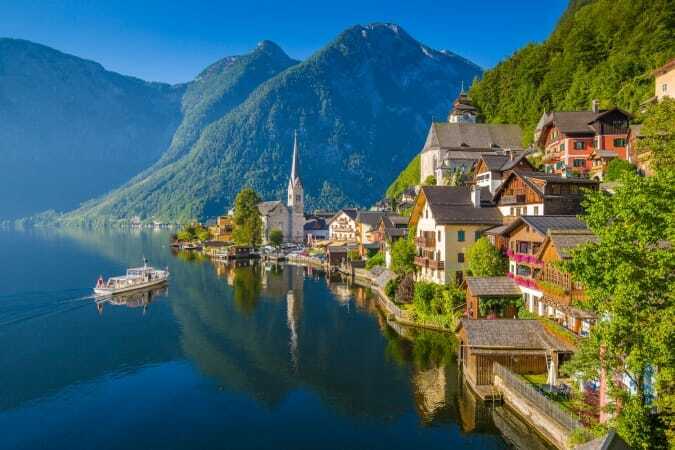 With inside knowledge about the city, they’ll be happy to provide you with restaurant recommendations and information about tickets, as well as secret spots you shouldn’t miss, and even suggestions on the best day trips from Salzburg. With an inviting atmosphere, each of the 11 rooms is modern, stylishly decorated, and provides you with an additional sitting area. The breakfast buffet is complimentary, and you can expect culinary treats with local and self-made ingredients to please your taste buds. If you want to be in the heart of the city while still being close to nature, B&B Villa Verde tops the list of best hotels in Salzburg for you. 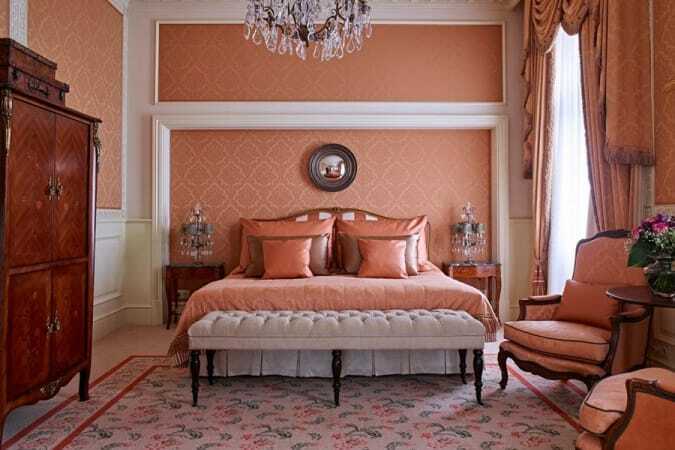 A Luxury Collection SPG hotel, Hotel Goldener Hirsch has been the epitome of Austrian hospitality since 1407. 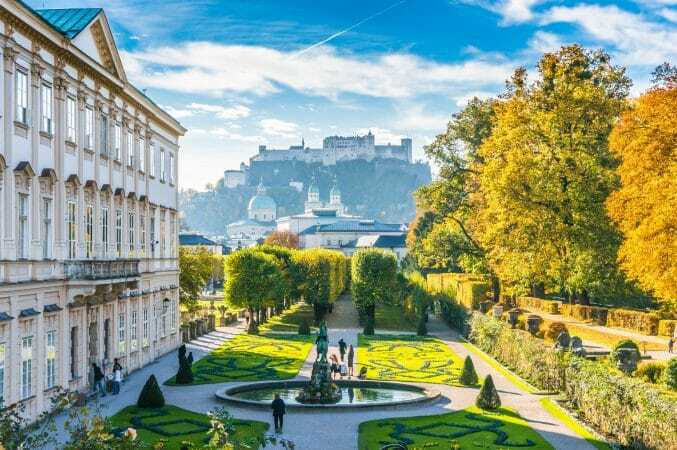 Situated on the world-famous Getreidegasse in Old Town, this is one of the best luxury hotels in Salzburg for shopping and sightseeing, and it’s just steps away from Mozart’s birthplace. Boasting tradition and originality, you can take your pick from a room or suite decorated with antiques and handmade furniture. 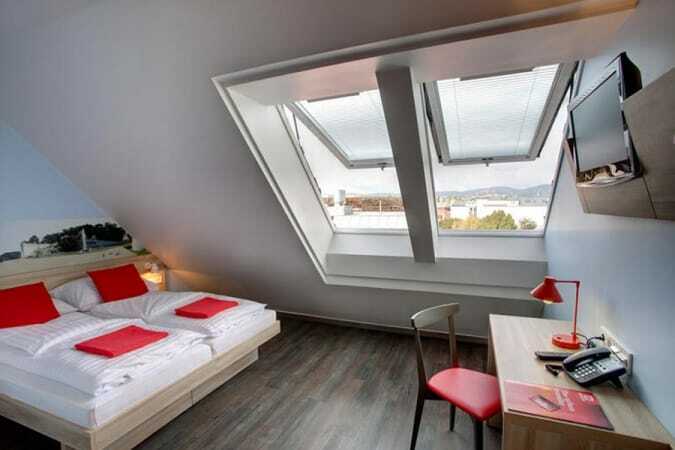 With view choices of the Getreidegasse, the Festival Hall, or the courtyard, you’ll be enchanted by the charm of your room. 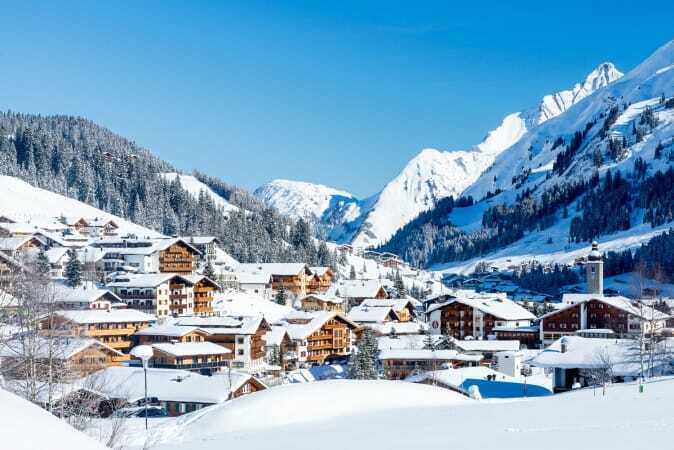 Whether you spent the day exploring the world’s largest ice cave or shopping in the area, you’ll be excited about your dining choices at Hotel Goldener Hirsch. In a former blacksmith’s shop and favored by international celebrities, world-class artists, and government officials, Restaurant Goldener Hirsch is Salzburg’s most illustrious restaurant and serves a variety of international dishes. If you’re craving more regional food, you can enjoy authentic Austrian cuisine and local delicacies at Restaurant s’Herzl, a cozy former goldsmith’s shop. When you’re ready to unwind, head to Bar Goldener Hirsch and choose one of your favorites from their extensive drink menu. Top of the line in every sense, a stay at Hotel Goldener Hirsch is sure to have you living like luxury during your stay in Salzburg. Nestled among gardens and only a 15-minute walk from the historic city center, Hotel Rosenvilla is an idyllic home during your trip. If you don’t want to walk, there is a bus stop around the corner and the bus leaves every 10 minutes for the city center. If you want to explore Salzburg in style, make your reservation for an exclusive Mozart Mercedes. In the luxury van you’ll have your favorite music as well as your choice of drinks. With lounge sofas and plush seats, their exclusive taxi service will make your stay in Salzburg truly special. Perfect for a couples getaway, the romantic rooms and suites combine stylish furniture with modern comfort. You’ll be happy to start your day off right with their delicious breakfast buffet. Upon request, they do have gluten-free bread and lactose-free milk for you. If you’re in a hurry and don’t have time to sit down for breakfast, they have coffee and croissants you can grab on your way out. For a quiet stay in an exclusive residential area, you’ll love your time at Hotel Rosenvilla. Regularly hosting world-class musicians, international statesmen, and other global celebrities, Hotel Sacher Salzburg is a historic hotel that sits on the banks of the Salzach river. The feeling of grandeur will overwhelm you when you walk in the door as you see the luxe interior designed by owner Alexandra Winkler. Offering all the amenities you’d expect in a five-star hotel, original paintings, antiques, and chandeliers are staples in every room and suite. 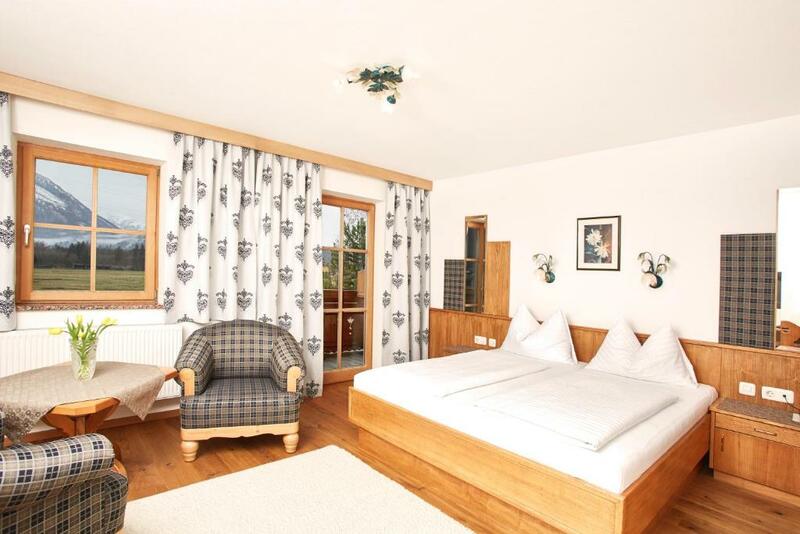 With your choice of impressive views of the Salzach river, the Salzburg State Theatre, or the Hohensalzburg Castle, some rooms have balconies and some even have heated floors in the bathroom. With several on-site venue options, you’ll have nothing less than a superior dining experience at Hotel Sacher Salzburg. The traditional Roter Salon and the gourmet Zirbelzimmer serve both Austrian and international cuisine. For some informal dining, Salzachgrill is famous for their grilled meat, fish, and burgers. The cafe terrace sits on the banks of the Salzach and is the perfect place to enjoy coffee and dessert. You cannot visit one of the best luxury hotels in Salzburg without taking a bite into their famous Sacher Torte. With evening piano music, the bar is a great place to relax after a long day, and possibly their best venue of all is Sacher Confiserie Salzburg, their in-house candy store! Their concierge team specializes in the impossible, so never hesitate to bring them any request. A unique mix of world charm and modern innovation, Hotel Sacher Salzburg is a fabulous place to stay with great views of the river. In the middle of the Golden Mile, Arthotel Blaue Gans is a trendy hotel in the perfect location for museum and art lovers. The oldest inn of Salzburg turned into the city’s first boutique hotel, over 120 pieces of original art decorate this one-of-a-kind hotel. 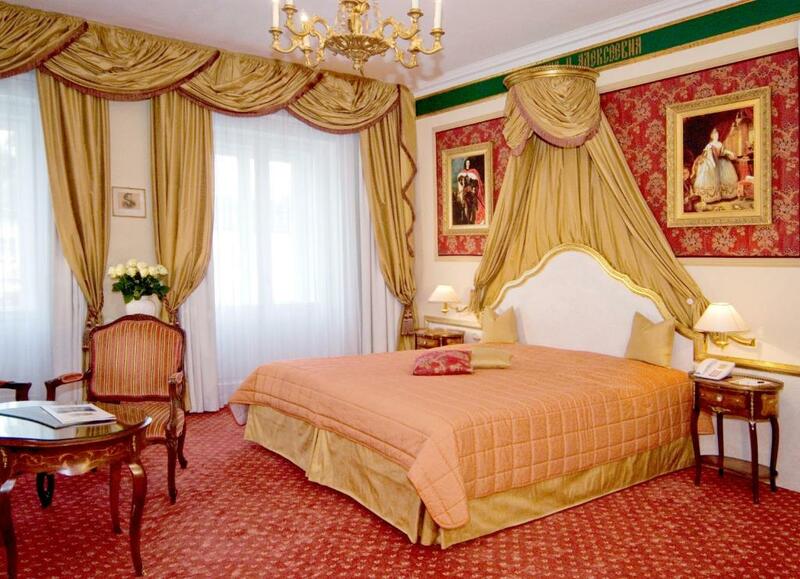 Each room and suite is decorated uniquely with an elegant flair. Serving people for centuries, you can be confident you’ll love the cuisine here. Boasting original paneling and mural paintings, Gewölbe Restaurant serves you classic Austrian dishes in their vaulted dining area. Appetizers, tasty drinks, and great music can round off your day while you chill out at the bar. A Mediterranean dream in the middle of a city, make sure to take some time to relax in the garden surrounded by olive trees, palms, and magnificent views. One of the best hotels in Salzburg for the design-savvy, their in-house designer shop brings together the finest items from all over Europe. From tableware to picnic bags, this is an absolute treasure trove for design enthusiasts. If you’re looking for an urban hideaway in the middle of the city, Arthotel Blaue Gans is where you should stay in Salzburg. Welcome to Bioberger Hof where hospitality is their passion and nature is at their doorstep. Surrounded by meadows, fields, and the Alps, this hotel is the perfect place to lay your head for a quaint stay in Salzburg. You can choose between an apartment with kitchenette, a suite, or a homey room. All rooms come with a minibar and many of them have balconies with fantastic mountain views. Thoughtful details coupled with discreet luxury will ensure you have the best stay possible at Bioberger Hof. From an extensive breakfast buffet to delicious evening meals, there are so many culinary highlights for you to discover here. They specialize in regional delicacies with a hint of international flavors to delight your palate. With considerate services and amenities available to enhance your stay, parking is complimentary and bicycles and umbrellas are available for rent. In a magical location with a caring staff, there’s nothing to regret when you choose to stay at Bioberger Hof. 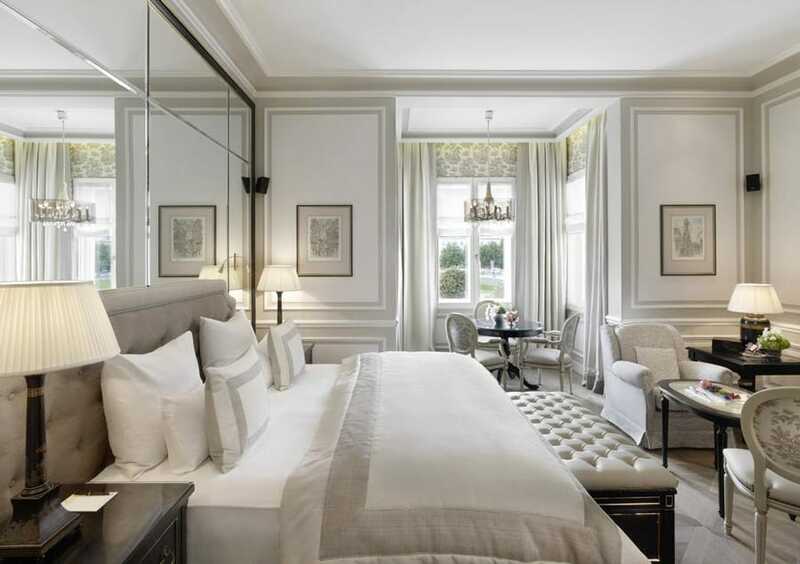 Your own private residence in the city center, this boutique hotel celebrates the city’s finest elements. Hotel Goldgasse is a unique hotel in a pedestrian area of Old Town that has history written all over it. The rooms also provide amazing insight into Salzburg’s history with antique stone floors, historic stucco, and remains of ancient columns. With artistic designs, you can take your pick of a room or suite, and one suite even has its own private rooftop terrace. This hotel only has 16 rooms, so you’re sure to have a warm and personalized stay at Hotel Goldgasse. When you start craving food from a fresh Austrian kitchen, head downstairs to Gasthof Goldgasse. Rustic comfort and first-class dishes served here are sure to excite your taste buds. Personal contact with their food suppliers is very important, so you can be sure you’re getting high-quality ingredients when you dine at Gasthof Goldgasse. The pictures don’t capture its true beauty, and a stay at Hotel Goldgasse guarantees you great memories you won’t soon forget. This list is based on our personal experiences and/or reviews online. 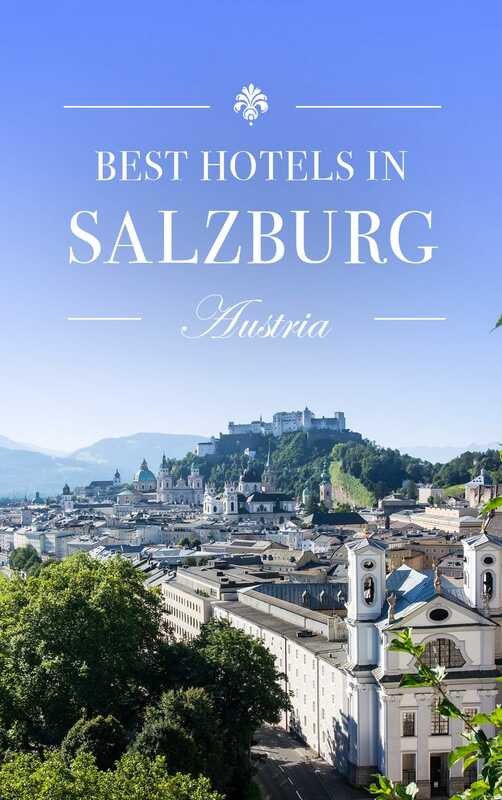 If you own a hotel in Salzburg that you would like to add to this list, email us at contact(at)roadaffair(dot)com with the subject: Best Hotels in Salzburg.